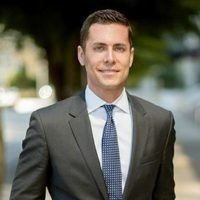 Mayor Appoints Florida Personal Injury Lawyer Jonathan E. Freidin to Ocean Drive Panel | Freidin Brown, P.A. As an lawyer at Freidin Brown, P.A., Jonathan E. Freidin is actively involved in Florida’s local community, and we are pleased to announce that he was recently selected to sit on the Mayor’s Panel on Ocean Drive by Miami Beach Mayor Dan Gelber. The purpose of the panel is to study and make improvement recommendations for residents and visitors of the famed Ocean Drive between 5th and 15th Streets. The panel, which includes other prominent members of the community, is divided into two subcommittees: Business and Culture Practices, and Security, Safety, and Infrastructure. Mr. Freidin was specifically appointed as the Chair of the Security, Safety, and Infrastructure Subcommittee. During his 2019 term, Mr. Freidin and other subcommittee members will collaborate with Miami Beach Police and Code Enforcement to provide a safer, more enjoyable experience on Ocean Drive. By October 31st, the subcommittee will have a final written report to submit to the mayor and city commission with its final recommendations for improvements. The Mayor’s Panel on Ocean Drive includes two Miami Beach Commissioners, Mark Samuelian and Ricky Arriola, along with other leaders in the community. Mr. Freidin spearheads all community efforts of Freidin Brown, P.A. and serves on the Board of Directors of SAVE, South Florida’s leading organization protecting the rights of the LGBTQ community. Florida residents have directly benefitted from his efforts to protect and improve the community, looking not only at the present, but towards the future, as well. To learn more about Mr. Freidin’s experience and background, visit his lawyer profile or contact Freidin Brown, P.A. today to discuss a potential case.